We’ve been talking about the importance of vaccinations, especially as religious and anti-scientific misguidance generates an under-vaccinated population of vulnerable individuals. 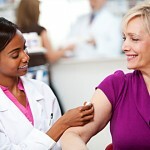 Locally, un- and underinsured listeners can obtain free flu shots (it’s not too late!) through the King County Health Department at a number of locations. The Pierce County Health Department reports that local pharmacy chain Bartell Drugs offers low-cost/free flu immunizations for low-income individuals at many of their locations. 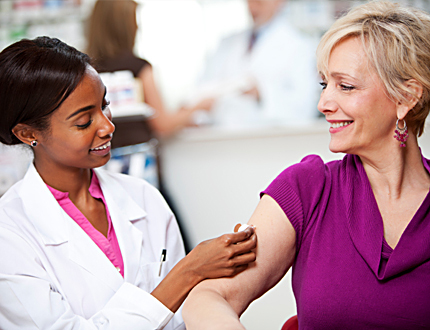 Listeners around the US can find pharmacies, clinics, and hospitals that are currently offering all sorts of vaccinations, including flu, dtap, meningitis, HPV, and more by using HealthMap’s Vaccine Finder. Finally, The US Dept. of Health and Human Services Vaccines.gov website has great information about adult vaccinations and boosters, getting help paying for vaccines, and clarifying vaccine misconceptions. Remember, even if you aren’t typically affected severely by illnesses, herd immunity is important in protecting the most vulnerable among us. Children around our state and across the nation aren’t being vaccinated because of parents’ religious beliefs and personal objections. Our immunity helps minimize epidemics in our community! Becky works on the Ask An Atheist production team, frequently appears on episodes, and lends her voice to commercial announcements. She speaks Spanish, works as an educator in the Seattle-Tacoma area, and sits on the Board of Humanists of Washington. I had my Child vaccinated. And so have I. Thank you. Thanks for the reminder on the importance of getting a flu vaccine every year (and keeping up to date on tdap as well!). After listening to your show, I took time from my busy day to get my flu shot done! I’m a new listener and I am very much enjoying on catching up with your past shows. Thank you for the great work! Why Did the Pew Research Center Edit Out All Mentions of Americans' Apocalyptic Beliefs?